Note: The following article will appear in an upcoming issue of Dirt Magazine discussing Murray McMurray Hatchery’s stance on the mail order chick business. The growth of the farm-to-table movement wouldn’t be as successful as it is today without the mail order chick business. McMurray Hatchery has been at the forefront of backyard farming, assisting our customers with their choice of a sustainable and healthy lifestyle through our selection of chicks. Hobbyists and average consumers desire transparency in their food and rely on the mail order chick industry to supply them with wholesome bird options as an alternative to buying eggs or meat from a large produce supplier. McMurray Hatchery has been in the mail order chick business for 100 years, working with consumers and carriers to provide a seamless transaction from start to finish. But it hasn’t been without hard work. We love what we do, and we want our customers to have a positive experience with us. Throughout our 100 years in the industry, McMurray Hatchery has always been mindful of implementing existing shipping standards and we work very closely with our local post office. We contact the post office 3 days prior to a shipment to make sure transportation is available, after which we track each and every package to guarantee delivery. Each week we send a report to the post office detailing any complications to avoid future difficulties. 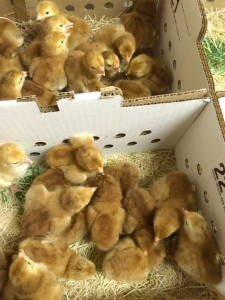 Our customers are our highest priority, but our chicks are the center of our business. In our efforts to continue to provide our customers with the highest quality products, our shipping boxes have been designed specifically for live chick delivery. The sidewalls are slanted with standoffs to ensure proper air circulation and the ventilation holes are adjusted depending on the season. In the early spring months, insulation and layering are added to the box for comfort, while in the winter or colder temperatures, 72-hour heat packs can be added to boxes with smaller breeds. 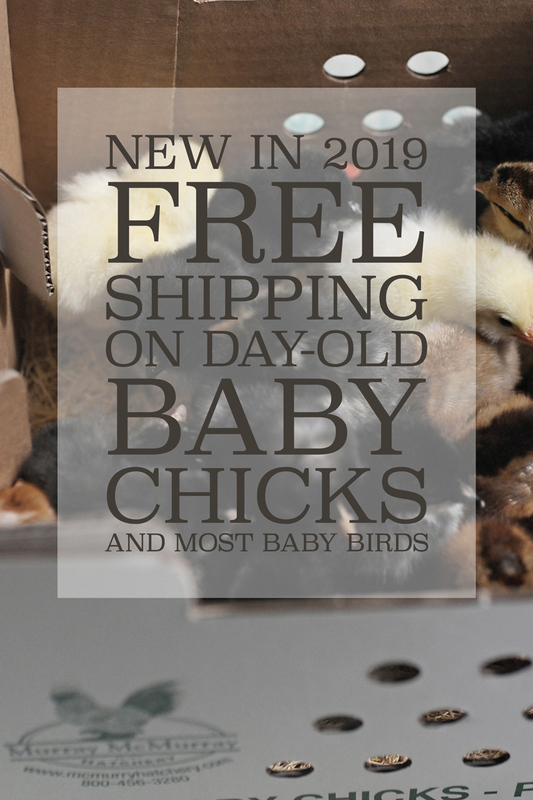 Our extensive experience of over 100 years in the mail order chick industry gives us the confidence we need to continue to supply our customers with healthy and viable chicks. We’re committed to staying on top of the business and supporting our customers’ mission for healthy living.